312 pages | 14 B/W Illus. Cartels, trusts and agreements to reduce competition between firms have existed for centuries, but became particularly prevalent toward the end of the 19th century. In the mid-20th century governments began to use so called ‘cartel registers’ to monitor and regulate their behaviour. This book provides cases studies from more than a dozen countries to examine the emergence, application and eventual decline of this form of regulation. Beginning with a comparison of the attitudes to regulation that led to monitoring, rather than prohibiting cartels, this book examines the international studies on cartels undertaken by the League of Nations before World War II. This is followed by a series of studies on the context of the registers, including the international context of the European Union, and the importance of lobby groups in shaping regulatory outcomes, using Finland as an example. Section two provides a broad international comparison of several countries’ registers, with individual studies on Norway, Australia, Japan, Germany, Sweden and the Netherlands. After examining the impact of registration on business behaviour in the insurance industry, this book concludes with an overview of the lessons to be learnt from 20th century efforts to regulate competition. 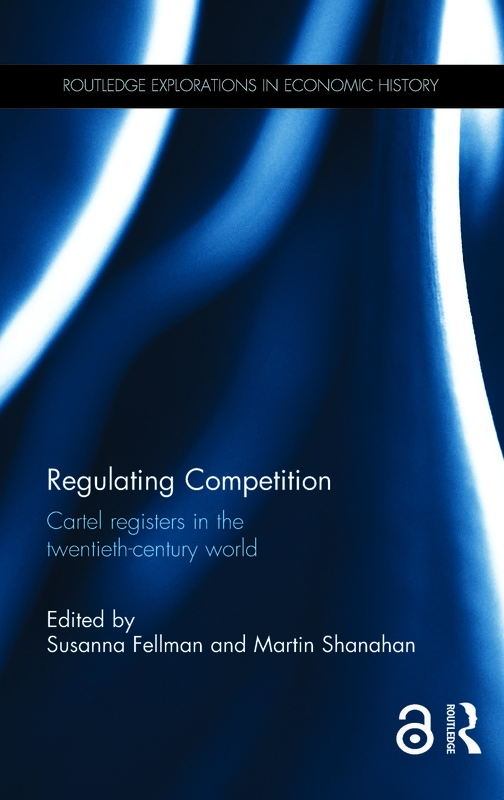 With a foreword by Harm Schroter, this book outlines the rise and fall of a system that allowed nations to tailor their approach to regulating competition to their individual circumstances whilst also responding to the pressures of globalisation that emerged after the Second World War. This book is suitable for those who are interested in and study economic history, international economics and business history. "The collection gives a fascinating overview of the many different ways in which a single political measure has been applied to serve a wide range of goals and interests." Mária Hidvégi, University of Konstanz, Germany. Susanna Fellman is Professor of Business History at the School of Business Economics and Law, University of Gothenburg, Sweden. Martin Shanahan is Professor of Economic and Business History at the School of Business, University of South Australia. This long established series provides a platform for books which break new ground in the understanding of the development of the modern world economy. Equally rooted in economics and history, the series is not limited to any particular period or region. Individual titles focus on particular countries, key industries, themes, or international economic relations.